Updated Monday March 21, 2016 by Oakville Minor Ball Hockey League. All registrants are responsible for providing their own CSA approved hockey helmet with full facial protection, hockey gloves, hockey stick and soccer shin pads which are all mandatory. 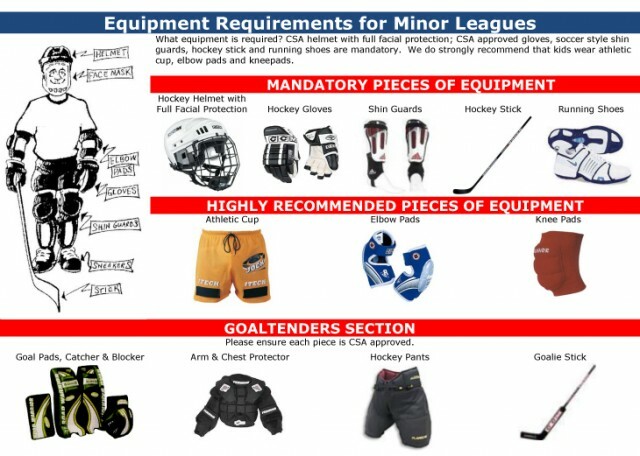 Athletic cup, soft elbow pads and approved ball hockey shin/knee pads are also recommended but not mandatory. We do provide goalie equipment for those players who wish to try goaltending.